Police investigations continue throughout Prince George’s County after separate incidents involving victims who were fatally wounded. Law enforcement officials have made an arrest in one case, but don’t have any leads in the other and are soliciting the public’s help in bringing the assailants to justice. Authorities have identified two men who were killed in a shooting in Bladensburg on Jan. 30. Jonathan Contreras, 23, of Quick Silver Court in Bowie, and Varney Batener Jr., 24, of Donovan Street Hyattsville, were found with single gunshot wounds outside an apartment complex and later died while being transported to the hospital. Reports say officers responded to a call at an apartment complex in the 5000 block of 57th Avenue near Emerson Street after the report of a shooting in Bladensburg, police said. One man was suffering from a gunshot wound on the sidewalk outside of a car, and the other man was inside the car, according to Bladensburg police deputy chief Capt. Tyrone Collington. However, detectives with the Prince George’s Homicide Unit identified and arrested a suspect in connection with the alleged homicide in Hyattsville. The suspect is Joseph Deloatch, 49, of the 3700 block of Hamilton Street who is charged with fatally shooting a man who he was acquainted with on January 30. The victim’s name is being withheld pending notification of his family. The preliminary investigation revealed the suspect and victim were involved in an argument when the suspect allegedly shot the victim. Deloatch is charged with first-degree murder and related charges and is being held without bond. As the calendar turned to February, the County’s law enforcement agencies found themselves turning to old-school ways of investigating another apparent shooting, which has been officially ruled a homicide. 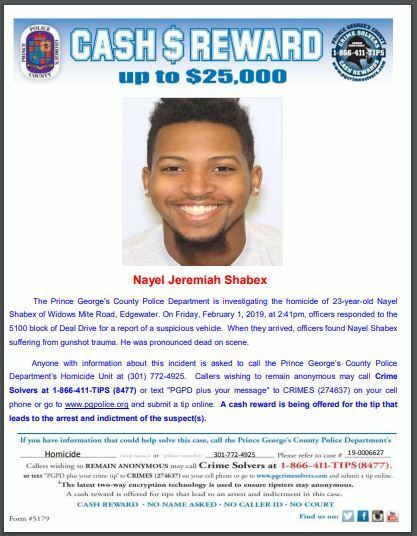 Prince George’s County Police began a door-to-door investigation after a weekend where the continuous examination into the shooting death of Nayel Shabex, 23, of Edgewater, MD didn’t reveal any leads or suspects in the case. Shabex allegedly was shot to death February 1, only 1,000 feet from the D.C. border in Oxon Hill. According to a statement issued by the County’s Police Department officers were called to the scene during the mid-afternoon around 3 p.m. on Deal Drive. When officers arrived, they found the body of Shabex in a car with multiple gunshot wounds. He was pronounced dead on the scene. Authorities haven’t discovered evidence to make any meaningful progress in their investigation, so they began soliciting the public’s help in searching for leads. The Department began canvassing the community by knocking on doors early Monday evening starting in the apartment complex where Shabex’s body was found near Deal Drive. Residents of the community have been reluctant to come forward and share what information they may have which has stifled the investigation. A reward of up to $25,000 has been established for information leading to an arrest. People are being encouraged to come forward anonymously with what may seem to be the slightest information that could make a difference in the investigation that currently has more dead ends than leads at this time. To protect the residents who are uneasy with coming forward to share information about the incident, Prince George’s Police have established several ways for them to share without going public. 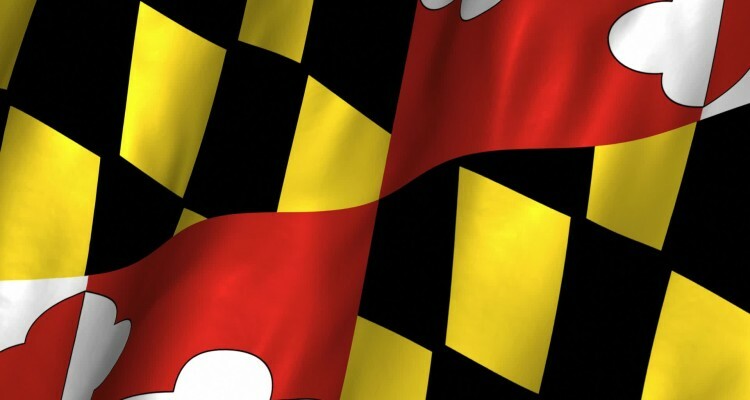 The department is taking calls at its main number at (301) 772-4925. 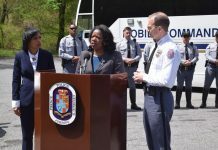 However, the residents who fear they may be vulnerable by coming forward via regular telephone response are being urged to contact Crime Solvers at 866-411-8477 (TIPS) or text “PGPD” with their tips to 274637 (CRIMES).